The Old Dog Asks: Does Anyone Out There Like This? I love the arts! I do have formal training as a designer and I have studied the history of art but I do not claim to be an expert. Still I am often puzzled at what others value. To each his own I guess! Here is Some "Art Work" That I Saw Recently! A few weeks ago I accompanied my wife to an eye clinic in the area of Luzern. The walls were decorated with various pieces of art that were also available for sale. How do you like this piece? It is titled O.T. 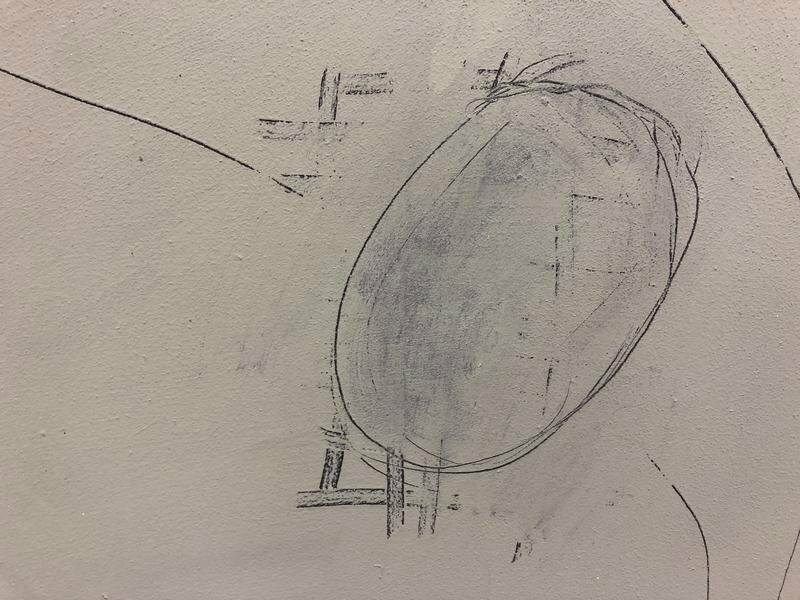 and seems to be of mixed media; smudgy pencil on painted canvas with two painted rectangles. Here's a close up of the painting's focal point. 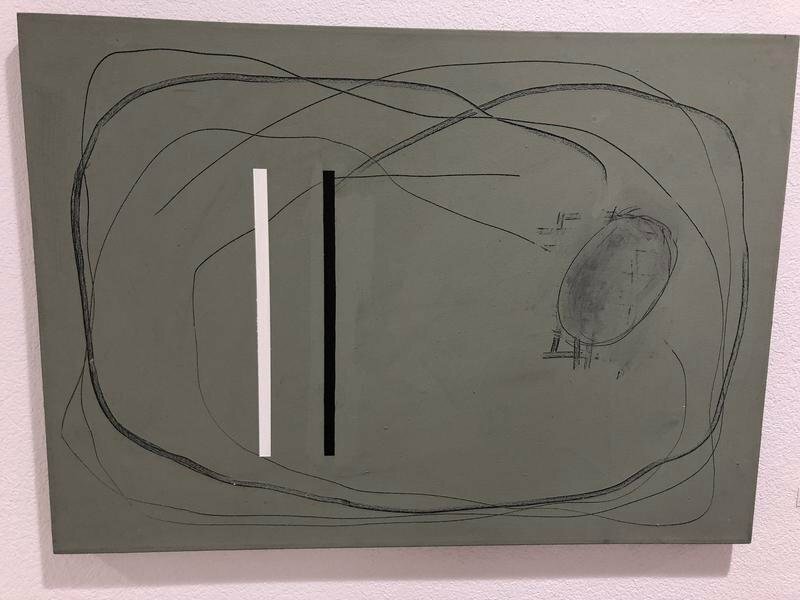 It looks like the artist needed several attempts to get this "quality"! 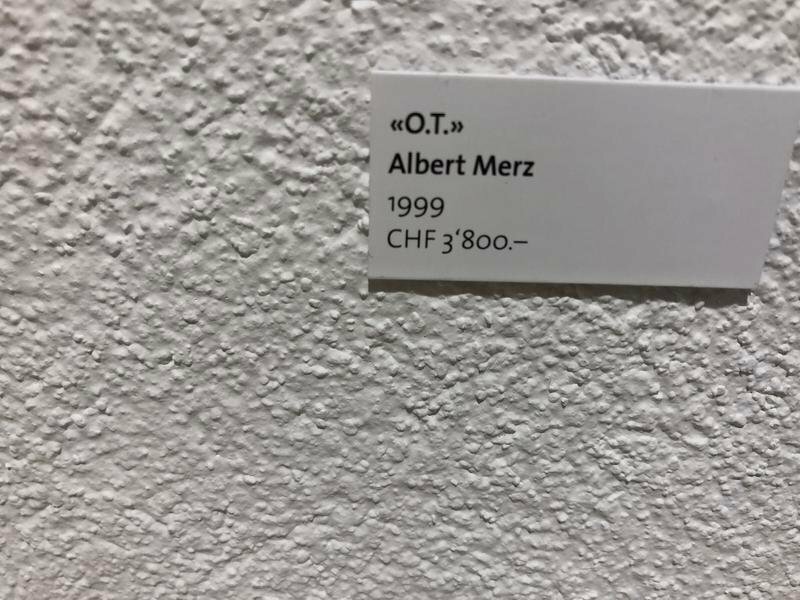 In case you wold like to buy it here's the price tag together with the artist's name Albert Merz. Do you think that anyone will buy it? Am I uncultured because I don't understand it? Thanks for following me on my travels and I look forward to sharing my adventures with you.